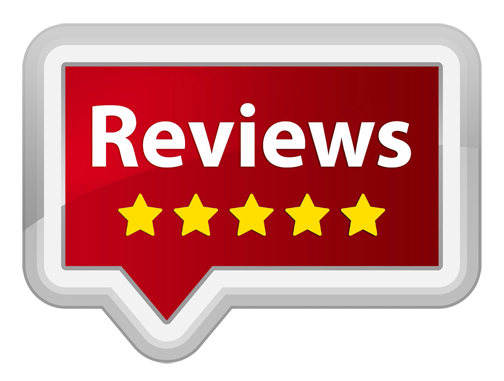 To Leave a Review for Trifecta in Google, click here. Clean, friendly, experienced staff and tons of room for outside play for the boarding and daycare dogs. Excellent owners and obedience training as well as the best professional groomer. Your go to one stop shop for your dogs. We have been using Trifecta for over 25 years. We started with Lisa and Grace grooming our dogs and did not look any further for our training needs. Lisa helped me train our wire-fox terrier, Kirby, to achieve Canine Good Citizen and also Therapy Dog status. We were able to provide over 10 years of “wags and smiles” as a Therapy Dog Team. We are now training our new pup Logan to follow in Kirby’s pawprints. I wouldn’t train anywhere else! Lisa and her team are knowledgeable, helpful, and most importantly, use POSITIVE reinforcement in their training. Training is rewarding and fun–both for human and canine participants. A trained dog is a happy dog–and there’s no where better than Trifecta! Trifecta Kennels provides so many great services all year round, rain, snow, or shine. They offer boarding for as long as one may need, daycare, and also grooming, baths, nail clippings, etc. by Noel. The owners and staff all have a great love of dogs and it shows in the work that they do. Each and every dog is taken care of as if it were their own and that is what I love most about Trifecta. Overall an amazing and very convenient business! Highly recommended! All members of Trifecta Kennels have been extremely helpful and positive in my experience with them. I went to them with what I thought was an impossible dog and I have come out of there loving my dog more than I thought I could, loving my trainings and I have been given a whole new outlook on being a pet owner. The classes have created such a warm environment where other dog owners are supportive of each other as well as the trainers. I can’t say enough positive things about our experience. I would recommend this group to anyone. I just boarded my dog over the Christmas holiday and in a world where we hear so much negativity, I wanted to take the opportunity to say something positive. This busy kennel knew my dogs funny likes and dislikes. They figured out that she would not eat biscuits when kept whole, or if placed on the floor. My little Peanut is dainty and needs smaller pieces, and they learned that. Also, even tho we were only there for 3 days, the groomer called my attention to the really stinky breath, that Peanut has recently begun having. Took her to my vet and turns out she’s got several bad teeth, that we can fix! I am so grateful they took such good care of my little girl. I discovered Trifecta Kennels about a year ago, and I have been more than pleased ever since. They offer so many helpful and convenient services including daycare, training, grooming, and classes in addition to boarding. I can truly tell that each and every one of the members at Trifecta care about their customers and pets. They are extremely serious in enforcing rules for the safety and well-being of the dogs. The owners have been in the business for a while, and there is no other Kennel that I would trust.